If you are worried about the excesses of Christmas, then Windmill Lodges is the perfect place to shed the pounds and recharge your batteries. Here we look at some of the healthy activities you could enjoy during one of our hot tub holidays in the heart of Suffolk. Windmill Lodges’ Saxtead base is on the outskirts of the Suffolk Coast and Heaths Area of Outstanding Natural Beauty, which makes it an ideal place for a cycling break. The area is full of bridleways and quiet lanes, so you should be perfectly safe, provided you give the countryside the respect it deserves. 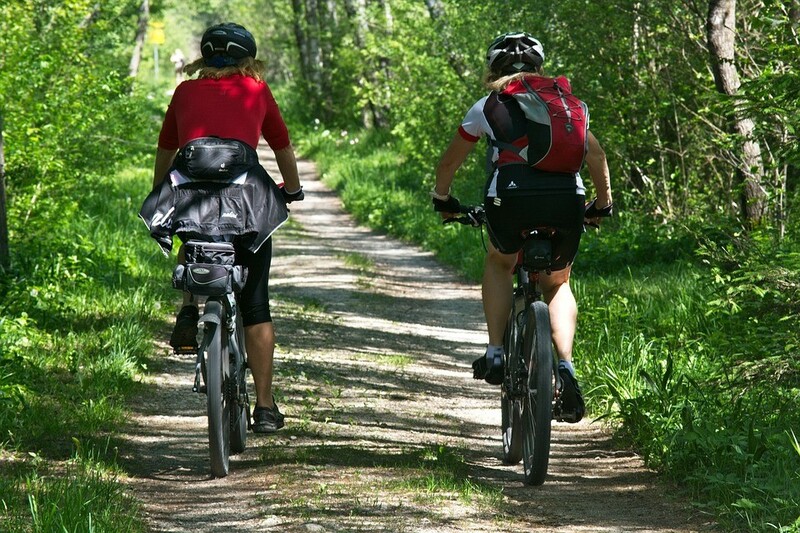 You can make your bike rides as easy or as difficult as you like. 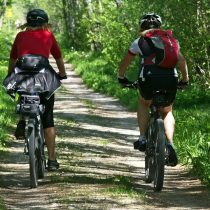 There are designated cycle trails through the forests in Rendlesham, Tunstall and Dunwich. Many of these are ideal for families, while others have been designed with mountain bike riders in mind. And although Suffolk is one of the flatter counties in the UK, the AONB also has five river valleys, so your ride could still have plenty of ups and downs – literally! You don’t have to explore the AONB on two wheels – you can do this on your own two feet as well. There are a number of long- and short-distance walks to try, and the coastal authorities have also produced a booklet called The Suffolk Prambling Guide if you are out walking with young children or buggies. If you fancy a jog, then you could head for Sizewell Beach Car Park, near Leiston, on a Saturday morning at 9am or The Lighthouse in Southwold on a Sunday morning at 9.30am and take part in their weekly park runs, which caters for all ages and abilities. It is easy to register online for these free events. Swimmers can use our on-site heated pool between the months of May and October. An alternative is to go for a dip in the North Sea at Aldeburgh, Southwold or any of the other attractive local resorts. For the budding Rory McIlroys, there are plenty of courses throughout Suffolk if you prefer your exercise to take the form of a round or two of golf. Aldeburgh, Southwold and Woodbridge are all nearby, but there are plenty further afield as well. In all cases, you are advised to contact the club first to check on availability and prices for visitors. There’s plenty of opportunity to eat healthy and delicious food during a stay at Windmill Lodges. The nearby Framlingham Market, which operates every Tuesday and Saturday, sells a wide range of organic and locally-sourced produce. And as all our lodges are fitted with fully-equipped kitchens, including a full-size cooker (except for our 5* luxury Kingfisher Lodge, which has a range cooker), a microwave oven, a fridge and a dishwasher, there’s plenty of scope to create your own culinary masterpiece. And at the end of the day all the guests at Windmill Lodges can relax in their own hot tub, which will help you unwind after all the stresses and strains of the day. There is also evidence that a spell relaxing in a tub can help ease joint or muscle pain, and that it can help you enjoy a better night’s sleep. As well as being the perfect health break, a hot tub holiday at Windmill Lodges is ideal for all types of getaway. Our Woodpecker and Wagtail log cabins are both pet-friendly, which means you can bring your dog with you, while our Chaffinch Lodge is ideal for romantic breaks. If you would like to learn more about our current availability, follow this link and fill in the online form or call us on 01728 685338.